In one of the last hands of the Stud round, Greg Mueller brought it in with the and then called a completion from Kevin Calenzo. The latter bet the turn, Mueller called, and then both players checked fifth. On Sixth, Mueller check-called a bet and then turned right around and check-raised on seventh. Calenzo seemed to know he was in trouble but made the call nonetheless. 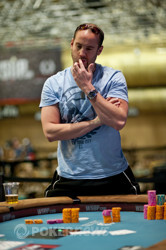 Mueller had caught a bigger two pair at the end to steal the pot away from Calenzo, leaving him with just 131,000. 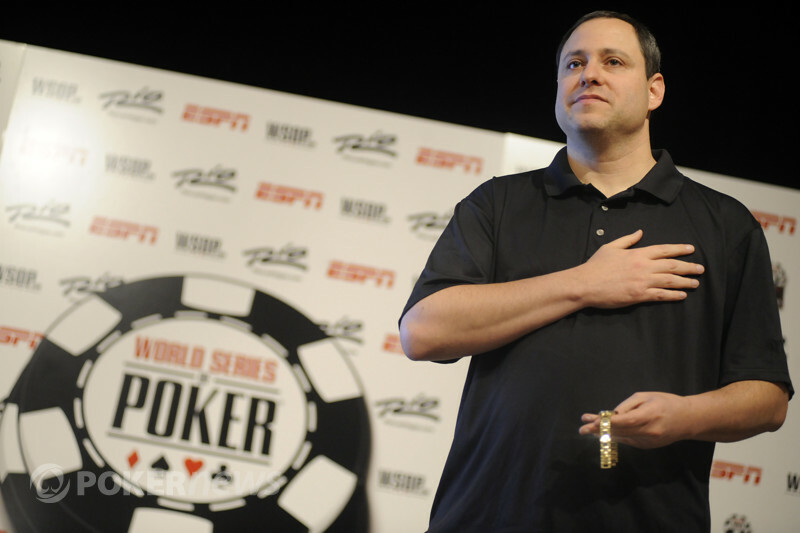 Two hands later, which was the first of the Omaha Hi/Lo round, Calenzo was on the button and raised to 100,000. Mueller defended the big blind and then led out on the flop, Calenzo raised his last little bit and Mueller made the call.